Every morning at Watsonville Community Hospital in Northern California, the labor and delivery team divvies up its patients — low-risk ones go to the midwives and high-risk ones to the physicians. Then, throughout the day, the doctors and midwives work together to ensure that the births go smoothly. “We kind of divide and conquer,” said Dr. Julia Burke, chair of the hospital’s obstetrics and gynecology department. The hospital began allowing certified nurse midwives to deliver babies in 2017, part of an effort to decrease cesarean sections and make mothers happier. It wasn’t an easy transition, Burke said. Some doctors, for example, had been practicing for 30 years and had never worked with nurse midwives, who are registered nurses with a graduate degree. Pharmacy, medical billing and other departments were also hesitant about the change, unsure of what it would take to integrate nurse midwives, she said. “It took a lot of convincing,” she said. Throughout the country, hospitals and medical practices are battling old stereotypes and sometimes their own providers and employees to bring on certified nurse midwives. To do so, they have to overcome a lack of knowledge about the safety and benefits of midwifery care and the laws and policies that restrict the use of nurse midwives. Certified nurse midwives are trained to provide women’s health care, including family planning services and maternity care. In childbirth, they typically handle normal births and leave more complicated cases to physicians. There are more than 11,200 certified nurse midwives around the nation, including about 1,200 in California. 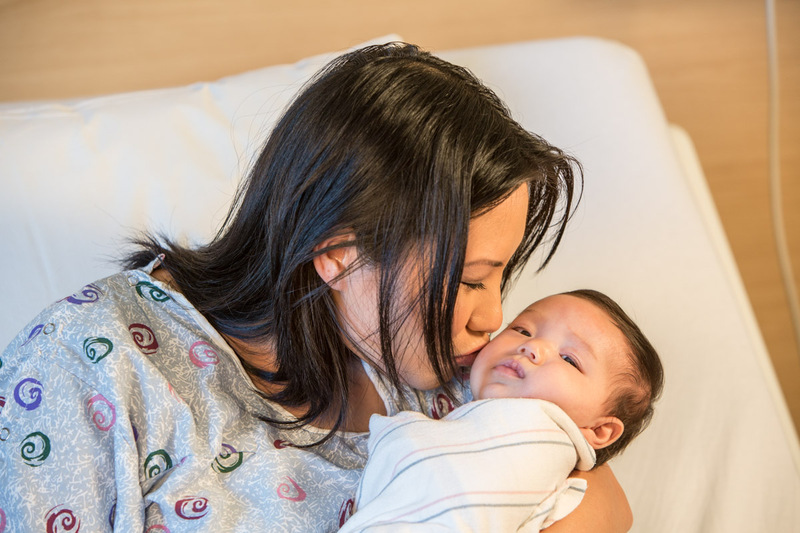 Women cared for by certified nurse midwives have fewer C-sections, research shows, which can improve birth outcomes and produce significant cost savings for hospitals. A 2017 study, for instance, also found fewer epidurals and less use of anesthesia among low-risk women with care led by certified nurse midwives, compared with care led by physicians. Despite the data supporting the use of nurse midwives, they attend fewer than 9 percent of births in the United States. That’s far lower than in some European countries, where more than two-thirds of births are attended by midwives, said Laura Attanasio, assistant professor of health policy and management at the University of Massachusetts at Amherst. Lack of awareness among patients and other providers is a key reason, Attanasio said. “When people hear the term ‘midwives,’ people think you are really talking about home births,” she said. In fact, she said, most midwife-attended births take place in hospitals. Attanasio said that to significantly increase the number of births attended by midwives, physicians and hospitals must be willing to bring them on board, and create more nurse midwifery training programs. “Our maternity care workforce reflects the way it’s been for the last 100 years,” she said. Administrative hurdles pose another challenge in some regions. Six states, including California, require nurse midwives to practice under the supervision of a physician, said Kim Dau, associate professor at the University of California at San Francisco. Yet doctors may be reluctant to assume those supervisory duties because they’re worried about malpractice liability or a bigger workload. Attempts to change the law in California have so far failed because of infighting between the state’s medical association and hospital association. To help overcome the obstacles, the Pacific Business Group on Health, a California nonprofit health organization representing employers, is trying to expand the number of hospitals and physician practices that use midwives. It has created guidelines for how to integrate them, and is laying out a business case to convince doctors and hospitals. The group argues, for instance, that midwives can help reduce OB-GYN burnout and reduce malpractice cases associated with unnecessary C-sections. More women would use midwives if given the option, according to a recent survey by the California Health Care Foundation. Seventeen percent of women surveyed said they would definitely want to be cared for by a midwife in a future birth, and 37 percent said they would consider it. But women can’t always find them, or they may harbor misconceptions about the safety of midwife-led care, interviews conducted by the Pacific Business Group on Health reveal. Lockwood said some physicians also may feel “a little threatened” by competition from midwives, but others see the value. Some hospitals, including Highland Hospital in Oakland, California, have used midwives for at least 20 years, said Katie McKee, interim nurse manager of the midwifery program. There, the OB-GYN doctors work collaboratively with the midwives, who handle most of the prenatal care, triage and about 70 percent of deliveries, McKee said. McKee said there is always at least one physician and one midwife at the hospital, and they communicate constantly. “We are always working as a team,” McKee said. At Watsonville Community Hospital, about 15 miles south of Santa Cruz, administrators knew they had to do something to bring down their C-section rate for low-risk births, which was higher than the state average. In 2016, Burke, the OB-GYN, helped start a hospitalist program there so physicians would always be on site. That allowed women to be in labor longer without doctors intervening with medication to induce labor. Then Burke, who also directs OB-GYN services at the clinic network Salud Para La Gente, worked to bring in the nurse midwives from the clinic. They’re now at the hospital every weekday from 7 a.m. to 7 p.m.
It’s too early to tell if the nurse midwives have helped reduce the C-section rate, which is now 24.9 percent, but Burke said she expects it to decline. Now Burke and lead midwife Sarah Levitan want to expand the program so midwives are always at the hospital. “To truly see the value of midwifery, we need to be there 24/7,” Levitan said.